If you live in South Korea and own an iPhone, you can register yourself for this program by filling a form online. 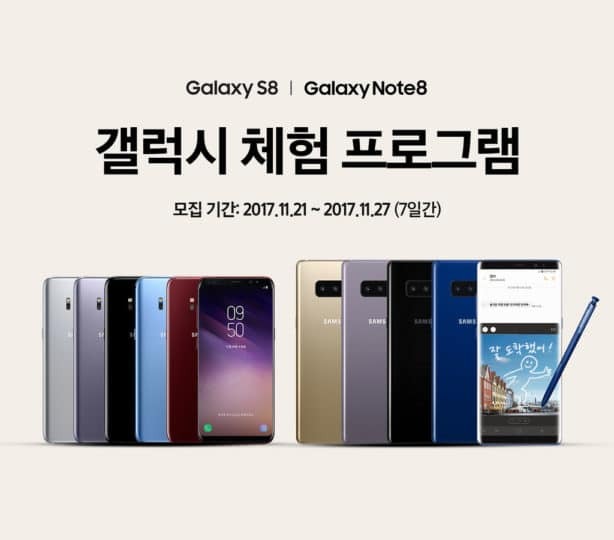 Samsung is accepting registrations until November 27th and will then pick 10,000 lucky participants on November 30th. These selected winners would be able to collect their device from the nearest Samsung Digital Plaza by paying a small participation fee of around $45 and then use it for a month. At the end of the trial period, if the user likes the phone and decides to buy it, their participation fee would be refunded. In addition, they would also get gifts like a JBL Go speaker on purchasing the handset as well. The experience program is limited to South Korea for now but the company can possibly look to expand it to other countries like the United States depending on how successful it is in its home country. Incidentally, the iPhone X launches in South Korea on December 3. It is clear that Samsung is hoping to lure in customers who plan on upgrading to the iPhone X early next month with its new marketing campaign. However, whether it works for the company or not is something that only time will tell.